A dance-theater critique of pop celebrity, Yackez was created by Larissa and Jon Velez-Jackson and features their Queer dance ensemble. 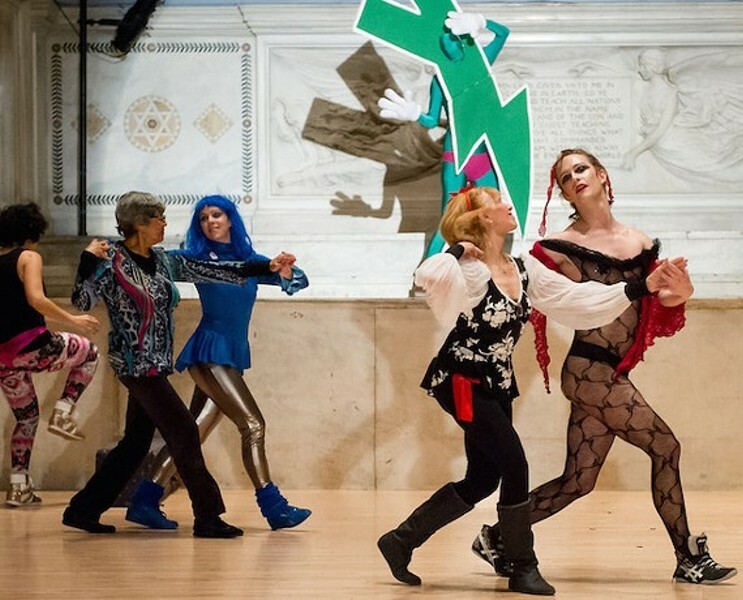 Give It To You Stage morphs five years of their underground showss into a large-scale dance musical combining ballroom dance, older adult fitness, and pro-wrestling into an unforgettable spectacle. Yackez is the arty rap group/multimedia collaboration of married duo Larissa and Jon Velez-Jackson, aka Twitta and Papi Jon. Larissa Velez-Jackson is a choreographer and hybrid artist; Jon Velez-Jackson is a songwriter, writer, and full-time journalist who also serves as the group’s wrestling coach.